We have lots of updates for you, but let’s kick off with some fantastic news. On Friday the High Court ruled that the Electoral Commission had misunderstood the law surrounding donations during the EU Referendum. The Electoral Commission unlawfully gave permission to Vote Leave to spend more than Parliament had allowed. The Commission gave that permission to Vote Leave, yet there is no suggestion it gave the same permission to Stronger In, thereby tilting the playing field in favour of Leave. Also, Vote Leave broke the law twice over. It broke the law, as the Electoral Commission has already found, by ‘working together’ with BeLeave’s Darren Grimes. The Commission never permitted working together. But Vote Leave also broke the law by acting on the basis of the Electoral Commission’s advice, advice we now know was unlawful. 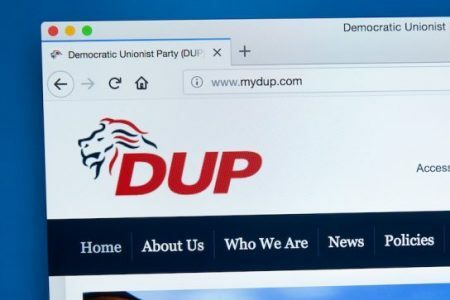 One implication of the decision is that the secretive Constitutional Research Council (CRC), which donated hundreds of thousands of pounds to the DUP, is likely to have broken the law after a BBC investigation showed how the CRC controlled some of the DUP’s spending. Our director Jolyon Maugham QC, has written a piece for The Guardian, which explains the implications of the ruling in further detail. The decision is available to read here. We would like to thank our talented legal team, Jessica Simor QC, Tom Cleaver, and Deighton Pierce Glynn, and we would also like to thank those who contributed to our crowdfunding efforts. Please consider supporting our work. As previously mentioned in our last newsletter, the Good Law Project went to the Scottish Court of Appeal. We appealed against the Court of Session’s refusal to refer to the Court of Justice in Luxembourg the question whether the UK can unilaterally revoke its Article 50 notification. Our director Jolyon Maugham QC was present, and for his Twitter thread on what happened on the day, click here. We’re still waiting for a decision from the Court of Session, and we’re hoping it will arrive later this month. We will, of course, alert you when we receive it. We’ve been helping former intern Amalia Illgner sue Monocle, the upmarket lifestyle magazine owned by former FT columnist Tyler Brûlé, for minimum wage and we want a judge to rule against them in order to protect interns generally. We now have a hearing date, scheduled for 7th and 8th March 2019. We’re pleased to announce that we are going to be issuing proceedings against FDM and Sparta Global later this month. For those that have been following, the Good Law Project has been campaigning against so-called graduate training schemes that have trapped thousands of young people. Outsourcing firms have been offering ‘training’ to young people who, after completion, are bound to stay with them for two years on unfair terms. We’ve already caused one outsourcing firm to drop its demand that graduates pay for training if they leave within two years of finishing its training programme, but other outsourcing firms are continuing this practice of indenturing young people. We are currently pushing the High Court to set a hearing to fix our costs liability to be followed by a full hearing. We understand that you may be frustrated with the pace of progress – indeed so are we – but we continue to push for a speedy hearing and hope to update shortly. In the meanwhile, we confirm that we continue to believe we have sufficient resources to get the issue decided. And, all of the money raised will be spent on external third party lawyers – not one penny has been spent on general Good Law Project expenditure and our founder continues to work entirely unpaid, on this and all other cases. For a background of the case, click here. As you will recall, we brought an action to determine whether UK citizens might retain their EU citizenship rights after Brexit. This a question which needs to be answered by the Court of Justice of the EU. However, only a court of one of the member states can refer the question to the Court of Justice of the EU. Before the District Court of Amsterdam we succeeded in persuading the Judge that European law might well guarantee continued EU citizenship rights to UK citizens. And he agreed that the question needed to be referred to the Court of Justice. However the Dutch Government appealed to the Dutch Court of Appeal. It agreed with the Judge in the District Court that UK citizens might well have continued EU citizenship rights after Brexit. However, unlike the Judge in the District Court, it thought that it was premature to ask the question until the effects of Brexit on UK citizens were known. We took further advice from our Dutch lawyers about whether we should appeal to the Dutch Supreme Court. Their view was that we would be better off waiting until those effects were known and then, again, asking the District Court for a reference to the Court of Justice of the EU. We plan to follow that advice. When the effects are known – and if they involve a removal of meaningful EU citizenship rights from UK citizens – we are likely to seek your financial support to commence a further action in the Netherlands with the intention of putting a question before the Court of Justice. That question will be whether the removal of those rights is compatible with EU law. So far as costs of the actions taken are concerned, the Good Law Project sought no funding for the decision in the District Court. That case was fought at a much reduced rate by the Dutch lawyers. The sums we raised in the crowdfunding to which you contributed were not sufficient to cover the costs of the Dutch lawyers in the Court of Appeal (and the costs which we paid to the Dutch Government following its partially successful appeal). The difference was met in large part by the Good Law Project. Our director Jolyon Maugham QC appeared on the Cab Chat Radio Show, discussing the Uber case. You can have a listen here. To help us keep up the good work, please, if you can, support us financially by becoming a member or making a one-off donation.